Actually, more like PROBARs for lunch, but that doesn’t rhyme. Okay. So remember when I won the RLAM giveaway and I was all excited about getting a box of HALO bars and a box of the PROBAR meal replacement bars? Well, the HALO bars arrived on my doorstop unaccompanied and I thought maybe I was wrong about getting both boxes and really, who cared because the HALOs were so yummy and I didn’t need to get all greedy, right? Holy cats, guess what showed up today? Yes, there was already one missing by the time I took this picture! I walked in the door after work to find this box of beauties waiting for me and lemme tell ya, there was no other option but to snarf up the Koka Moka for lunch. Nom, nom, nom!! Definitely a meal replacement, these bars hover around the 350 calorie/18 grams of fat mark. It’s good fat, of course, with all those nuts and peanut butter. The Koka Moka didn’t disappoint – it was nutty, chewy, delicious and definitely filled me up. I’ve already put my dibs on the Apple Cinnamon Crunch and Kettle Corn bars, but I suspect I’ll have to arm wrestle the kids and IronHubs for the others. 60 comments = 60 little slips of paper. 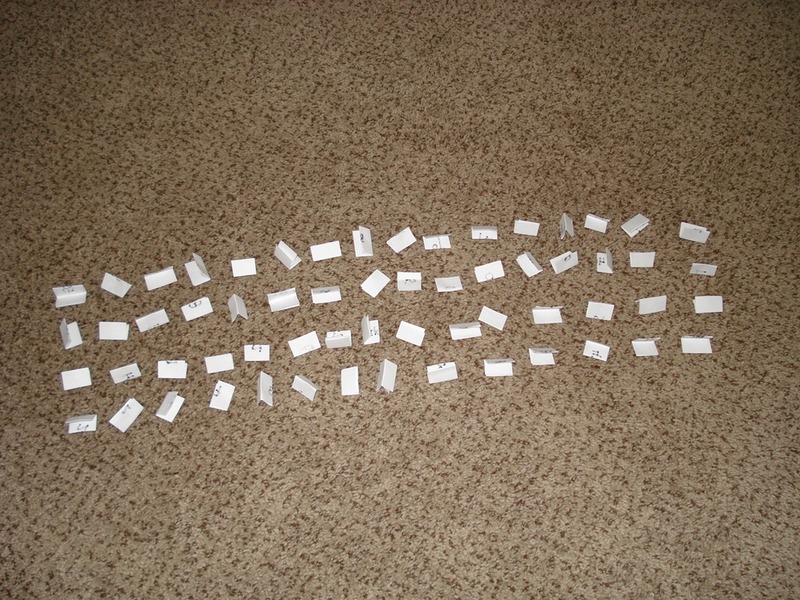 Each slip of paper got folded for anonymity and mixed up for randomness. 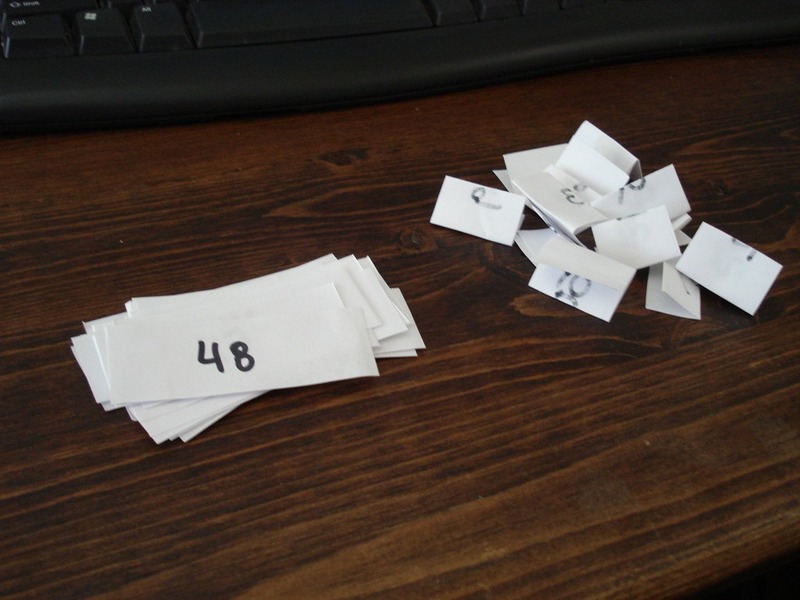 All the entries, waiting to be chosen. 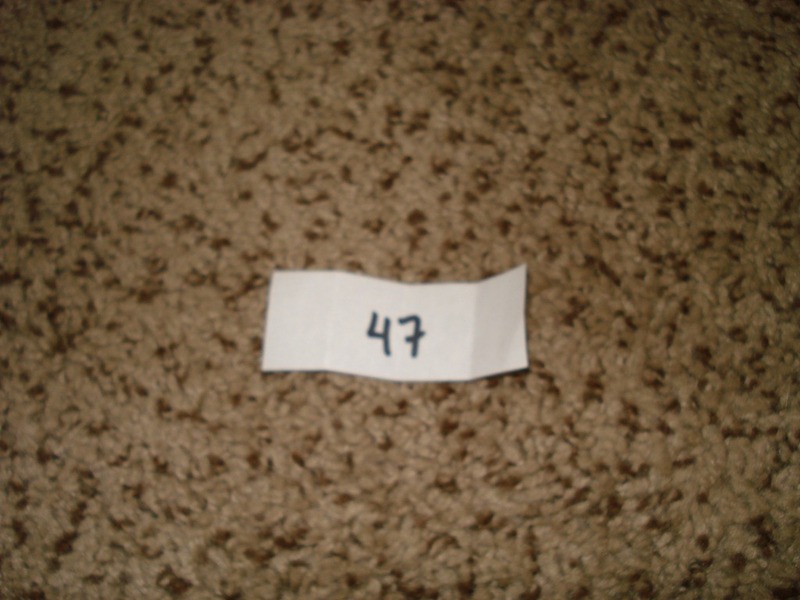 Oh, but how did I pick the winner? 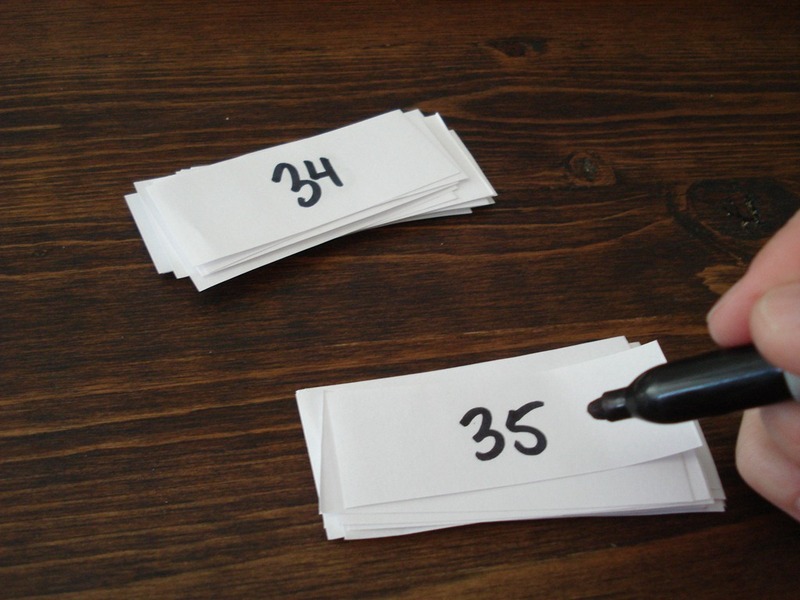 Do the math–60 comments, only one winner. Yes, that means I did this 59 times! Congratulations, Sophia!! Shoot me an email with your shipping address so you can enjoy your very own box of HALO bars! Thanks to everyone who entered! 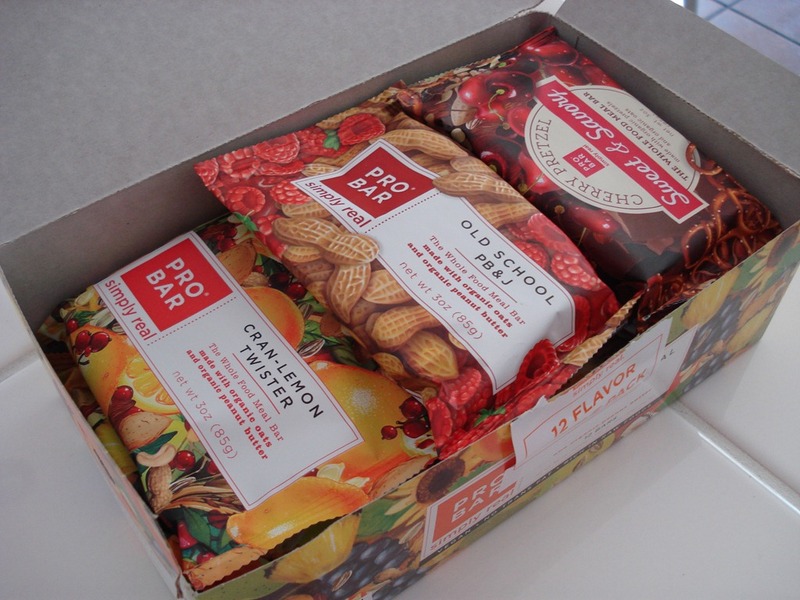 If you didn’t win, remember that you can order your own PROBARs online and score 40% off with the discount code “BLOGGER”! Happy nomming! Ok that was simply halarious! Yippee for me! Yay!!!! I seriously scrolled slowly, watched the video and to my heart stopping delight was surprised to see my comment as the winner. I really do like your facebook page by the way. Email with address is on it’s way, thanks for giveaway. Congrats TR! That is so awesome! the first time I noticed the comments weren’t numbered was on a giveaway, too! They should be, huh? !